The first round of reviews for From Software's Sekiro: Shadows Die Twice are here, and it looks like we have another top-tier action game on our hands. The title is a bit of a departure from the studio's last few games, but it seems the posture-based combat, increased mobility, and heavier focus on story and characters has benefitted it greatly. Below you'll find some thoughts and scores from other outlets. As for us, don't worry -- we'll be getting our verdict to you as soon as possible. 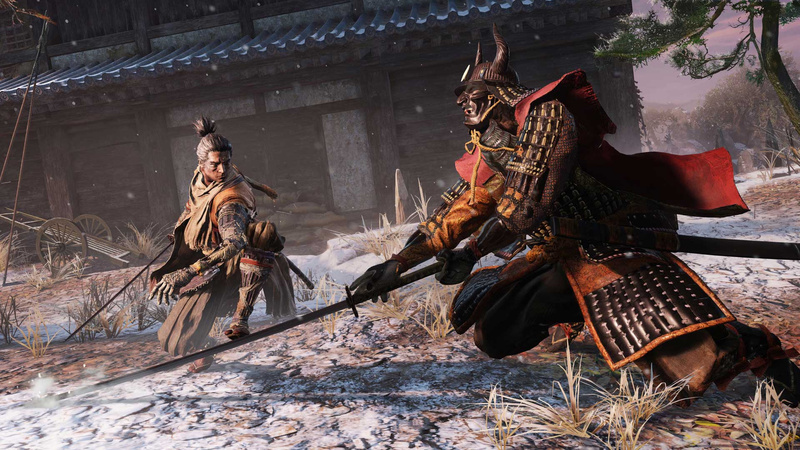 Sekiro: Shadows Die Twice is a stylish, focused stealth-action take on the FromSoftware formula that evolves in a different and refreshing direction. It may be a bit easier than a Souls game, but it’s something amazing all its own. Sekiro is a wild ride through narrative twists and shocking boss battles, and an amazing triumph or crushing defeat is only ever seconds away. Little hints and echoes to FromSoft’s past output is in there for those looking hard, but Sekiro is its own one-armed animal. I’m now several hours in, and I cannot stop thinking about it now that I’ve torn myself away for a moment. Mmmmm hype. I've got tomorrow and Saturday off work and am looking forward to getting frustrated! Appears to be reviewing very very well. Not one I will be picking up but I'm glad it's seemingly great for those that are! From Software has really mastered this niche, hope they do an Armored Core game eventually! I just walked past a game store and grabbed a copy. Willpower zero, apparently. So excited. Mines on it's way. Literally cannot wait to pick away at this beast. Awesome, but this won’t be Day 1 for me unfortunately. I will get it at some point though. Marathoned every Soulsborne game to celebrate this. I’m 1/3 into BB, the last on my list (though the first in my heart), but i won’t have the strentgh to not play Sekiro until i’m finished. Got my preload ready! Hoping it’s another early night at work so I can get down the road and play a bit before bed! Can’t wait to play it! Oh, and if they don’t call the sequel “Shadows Die Thrice”, it’ll be a travesty. I have it installed ready but have to wait until Sunday to have a proper bash at it! Thank God! The Daily Star review is in! Man, with those scores it is going to be hard to wait until I feel confident I'll get the complete edition. Hmm ign says it is easier then the souls games. Sounds surprising since everything I was hearing is that this will be harder or maybe just harder for those bad at parrying like me. My one and only question. Is there an in game map. No map = no purchase for me which would be a shame as it looks brilliant. But, since having the kids i get far less time to play video games and without a map and my sporadic playing style i cant remember all the locations. My dog has stitches so I have to bloody mind her for a few hours. The fecker won't sit still so I can't play the feckin game. It's right there! I'm tempted by this despite trying and failing several times to get into their previous work (just never found the time to get good, they're in my "to finish" pile along with 60 plus others!). I don't like the Soulsborne games but I'm getting this coz The Daily Star said it woz good innit. Excellent news! Can't wait to get stuck in. Loved bloodborne but still need to play DS trilogy, will definitely get this at somepoint! Oh, cool. I'll probably nab this once the price drops enough. It sounds much more up my alley than the Soulsborne titles. Have it pre loaded. Impatiently waiting ! Wow!... Just waiting to give the greenlight to play it. @get2sammyb is there a reason Push’s reviews tend to come out later than the other sites? I’m guessing you don’t receive an early copy, but then that begs the question why not. I would think Push should be treated with the same respect as other review sites. Now on to Bloodborne 2! @IanDavid In regards to this particular game, I'm not going to comment on it. But in general, obviously publishers don't have to send us review code if they don't want to. It's frustrating but all we can really do is try to put our case to the publishers and hope they'll sort us out. Agreed, I feel that I know the various reviewers likes and dislikes here, and how they align with my own; as such I know I can trust the reviews, it's a fab site. 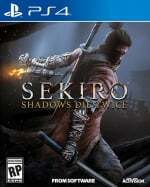 It's a shame no review copy was forthcoming as I am looking forward to seeing the PushSquare review fir Sekiro. My copy from Shopto arrived this morning and I have played about 2 hours, it is living up to the hype but I am trying to forget my Dark Souls muscle memory at the moment, its proving to be quite tricky fighting my first mini boss. By the way, you guys should see the steelbook for Sekiro.....BEAUTIFUL! !